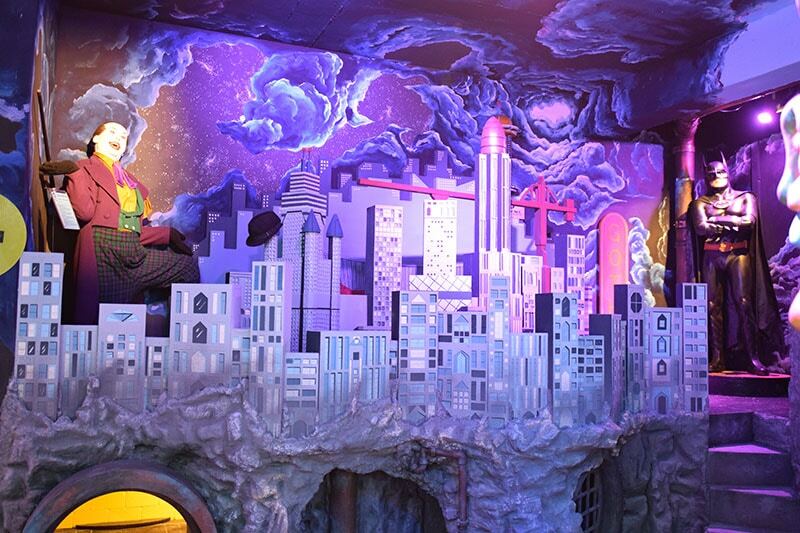 This Children’s fantasy world is really focused entirely on kids imagination and their innate curiosity, with plenty of colour, cartoon wax figures and pillars painted like cake & sweets. Children really will feel like they’ve walked into a dream world. This element to the attraction promises to be the highlight of any fun filled family day out! As you enter this part of the museum, children can explore a world of plenty. You enter through the Wardrobe into a fantastical room that features all the greats and all the seasons of the year. Santa Claus sleeps in the Wax Museum 364 days a year, where you can take a photo on the Christmas Throne. Harry Potter and Mad Eye Moody stand in Autumn where you can pose with Scabbers the Rat at a desk, and you can even step up to the Nimbus 2,000 for your own flying heroe desk. Children can sit with Peppa Pig and take a seat in our creative corner and draw and colour to their hearts content! There’s a 3D Twister where you can play up the walls and on the ground. Sit next to sponge bob and Bob the Builder as well! The Kid’s world also features all your favourite Cartoon Heroes such as Sponge Bob Square Pants and the Simpsons. The world of magic and fairy tales is also a running theme here with the Evil Queen, Harry Potter and all of the favourites in Dublin’s own Gotham City! During a day out in Dublin kids would not be disappointed with a visit to the National Wax Museum Plus.